torsocks allows you to use most applications in a safe way with TOR. It ensures that DNS requests are handled safely and explicitly rejects any traffic other than TCP from the application you’re using. 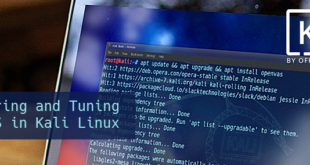 In this post we will cover IP spoofing in Kali Linux with torsocks which will allow users to connect to certain services that is banned to them. torsocks is an ELF shared library that is loaded before all others. The library overrides every needed Internet communication libc function calls such as connect() or gethostbyname(). This process is transparent to the user and if torsocks detects any communication that can’t go through the Tor network such as UDP traffic, for instance, the connection is denied. If, for any reason, there is no way for torsocks to provide the Tor anonymity guarantee to your application, torsocks will force the application to quit and stop everything. 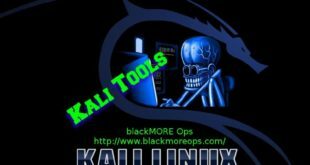 In this article I will guide you to IP spoofing in Kali using torsocks. Many applications do not directly support the use of SOCKS proxy. torsocks enables such applications to use the tor SOCKS proxy. Shell wrapper to simplify the use of the torsocks library to transparently allow an application to use a SOCKS proxy. If you are compiling it from the git repository, run ./autogen.sh before the configure script. That means my Public IP address is 123.123.93.36. Now using it with torsocks. Sweet as, now my Public IP changed to 197.231.221.211 because the URL was opened through the TOR proxy. For example we want to use telnet and ssh command to connect through a SOCKS proxy. This can be done by wrapping the telnet command with torify/usewithtor. For more details, please see the torsocks.1, torsocks.8 and torsocks.conf.5 man pages. Also, you can use -h, --help for all the possible options of the torsocks script. A configuration file named torsocks.conf is also provided for the user to control some parameters. The tables below list applications that usewithtor /torsocks will send through Tor. At the moment a 100% guarantee of safe interoperability with Tor can only be given for a few of them. This is because the operation of the applications and the data they transmit has not been fully researched, so it is possible that a given application can leak user/system data at a level that neither Tor nor torsocks can control. ssh M Y Potential for identity leaks through login. telnet M Y Potential for identity leaks through login and password. gpg M Y gpg --refresh-keys works well enough. 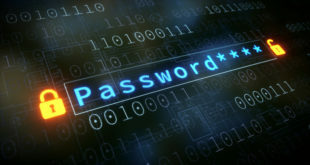 pidgin M Y Potential for identity leaks through login and password. kopete M Y Potential for identity leaks through login and password. konversation M Y Potential for identity leaks through login and password. 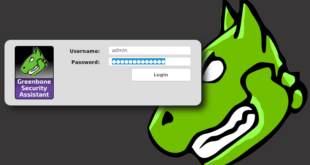 irssi M Y Potential for identity leaks through login and password. silc M Y Potential for identity leaks through login and password. claws-mail * * Use TorBirdy (Tor Button for Thunderbird) instead! thunderbird * * Use TorBirdy (Tor Button for Thunderbird) instead! ftp M Y Passive mode works well generally. DNS: DNS requests safe for Tor? N - The application is known to leak DNS requests when used with torsocks. Y - Testing has shown that application does not leak DNS requests. 100% Safe: Fully verified to have no interoperability issues with Tor? 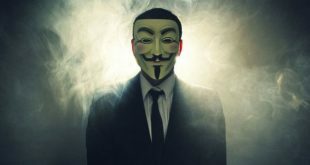 N - Anonymity issues suspected, see comments column. through indiscreet use (e.g. email address, login, passwords). Y - Application has been researched and documented to be safe with Tor. TOR or torsocks is free, somewhat secure, allows you to bypass proxies, Firewall, monitoring and content filtering. Though, it can be natively blocked in Firewalls and Proxies. Its sometime is slow and sometime is not that secure you’d think. If you find that using torsocks or tor is just too slow for you, then you can always use VPN services like PrivateInternetAccess which is deemed one of the best and most secured. Find a great and lengthy article on setting up VPN services which I recommend for serious users. If you can’t afford paid VPN services, you might want to try Anonsurf which is easy to setup and works pretty well. Users from Iran, Pakistan, Egypt, China, Bangladesh, North Korea etc. where content filtering is done in National Level maybe it’s a way to get the voice out. I do not want to discuss the legality of that and will leave that to you. Using proxy is another way for spoofing IP addresses. On a similar note, I’ve previously covered issues where you can DoS using spoofed IP Address, install and use TOR, creating hidden services in TOR like DarkNet or SilkRoad etc. Using Tor is only about using relays, it has nothing to do with IP spoofing. IP spoofing means forging packets above the ethernet layer to set a different source IP address and can be done with tools like Scapy. It also means you will never get the response of your packets. 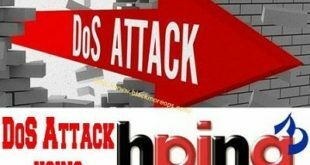 That’s why it is only used for DDoS attacks. Another way of doing it could be to use a VPN with properly configured local firewall. can anyone get iceweasel to actually launch using ‘torsocks iceweasel’ command? For me it just sits there and iceweasel won’t lauch. This is under Kali 2.0 and I have tried with an installed version and also the live version. proxychains does the same thing. 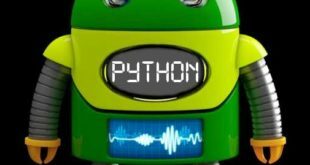 Can torsocks be used on apps like VirtualBox? So far, I can launch VirtualBox or VMWare with torsocks but my VMs dont seem to be using tor network.